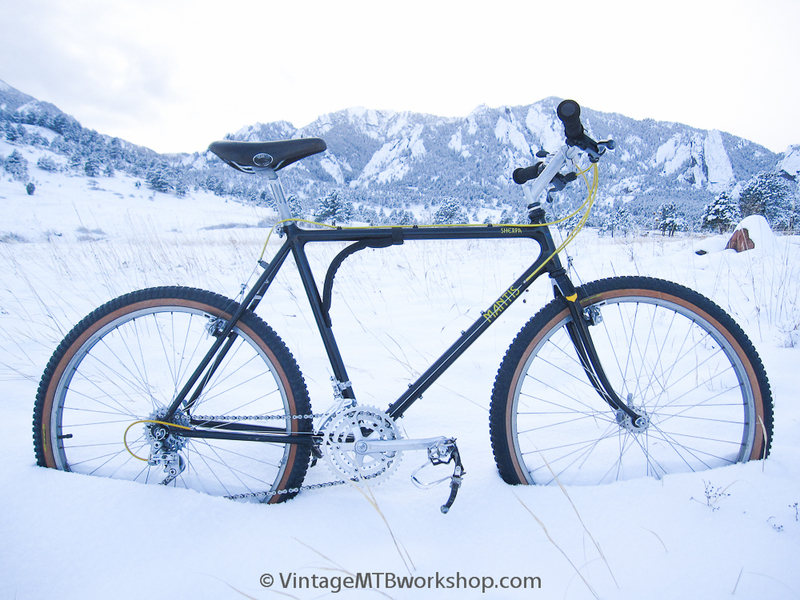 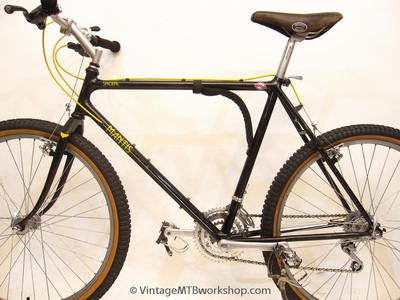 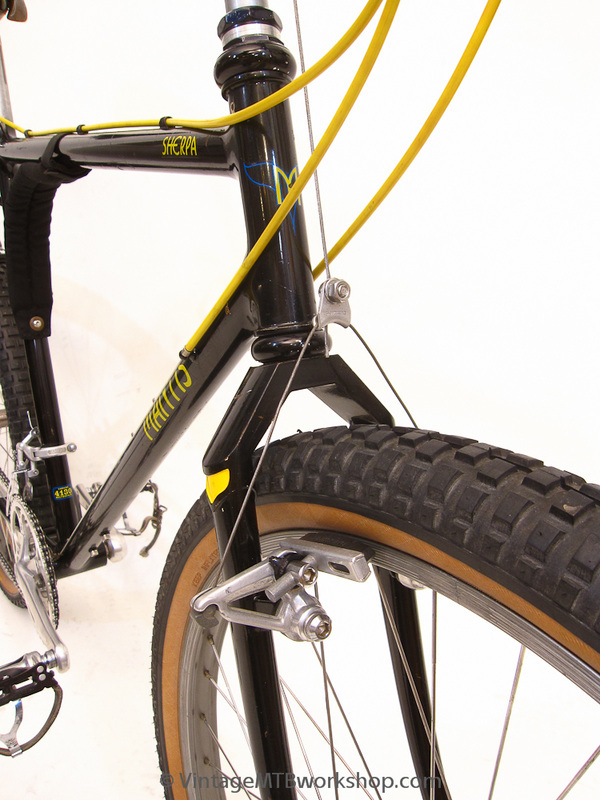 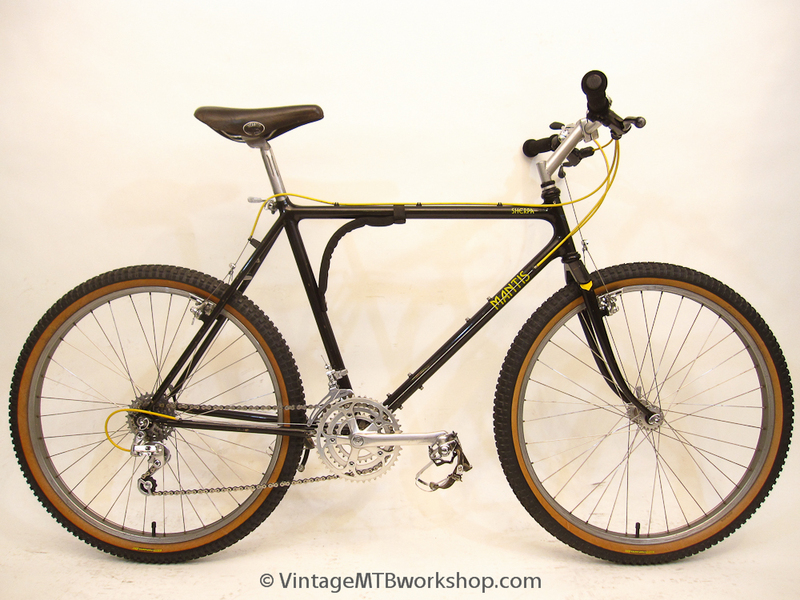 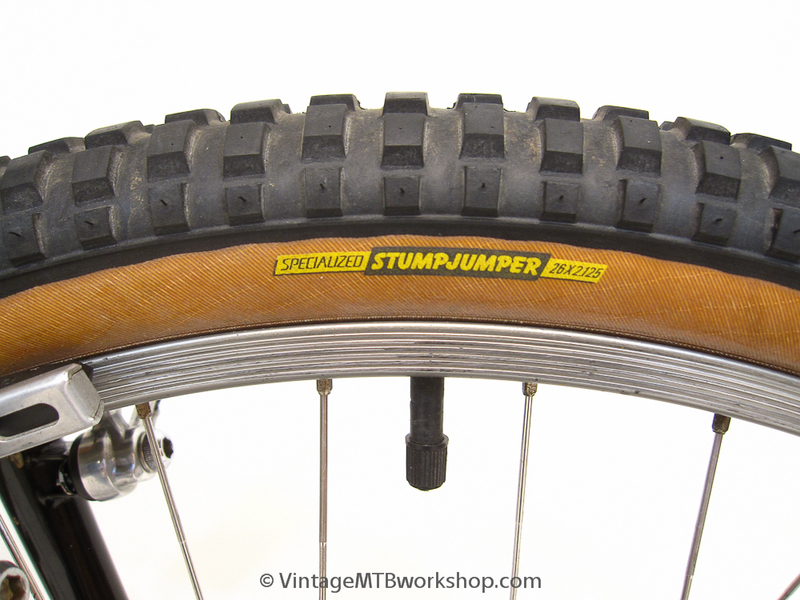 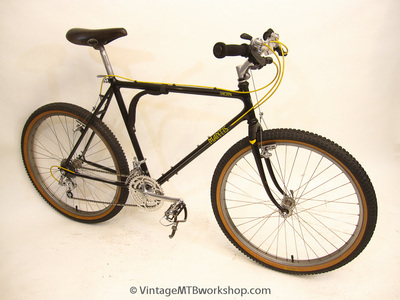 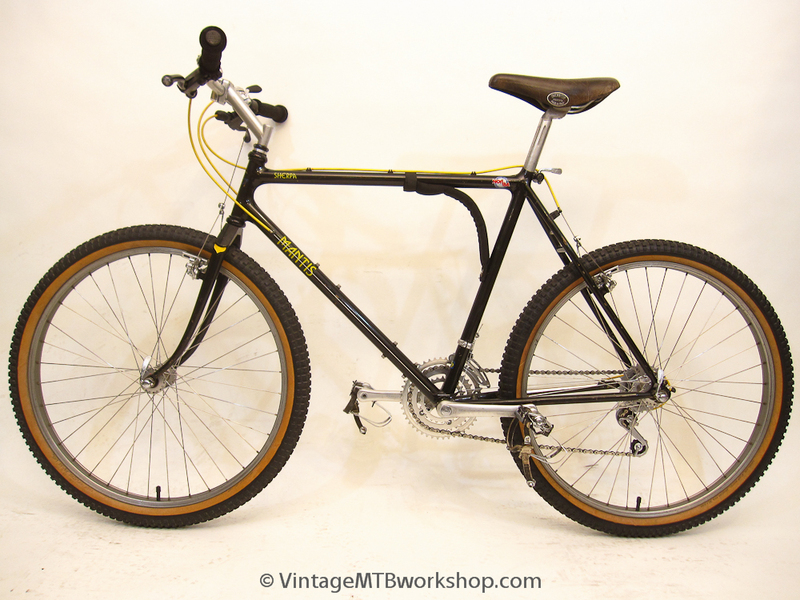 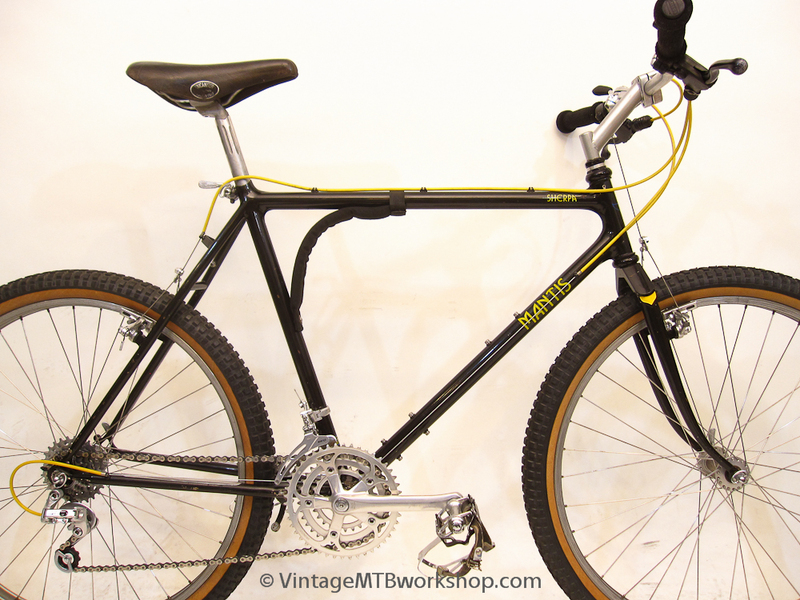 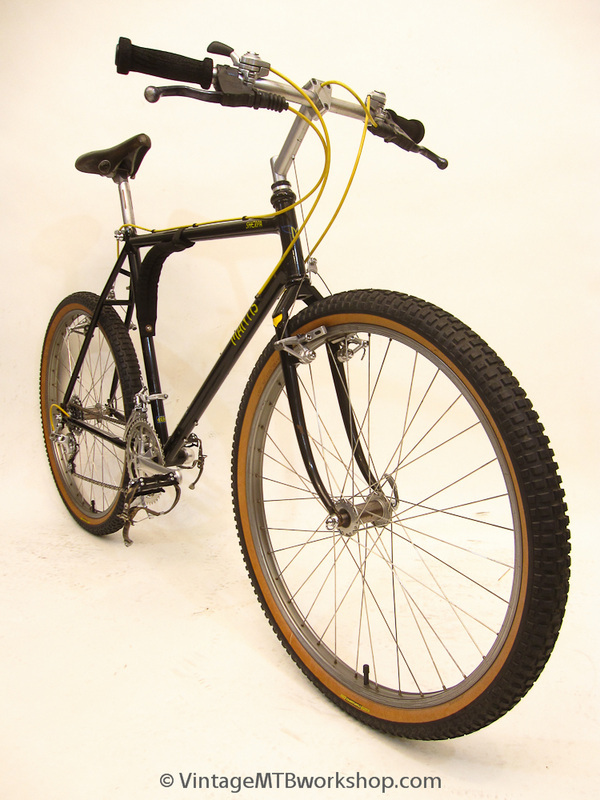 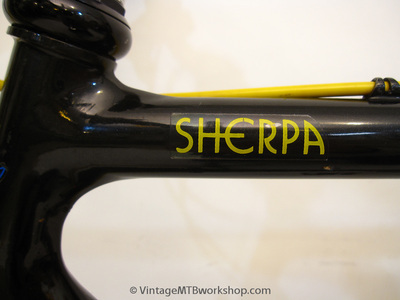 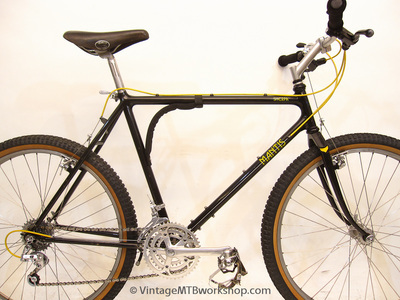 The Sherpa was an early model Mantis built by Richard Cunningham using fillet-brazing and 4130 steel tubes. 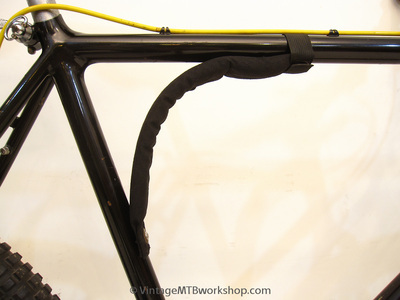 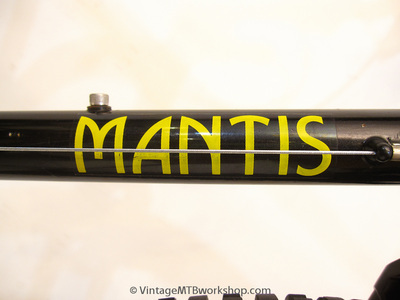 The finishing on Mantis bikes of this era is a bit unusual because all of the fillets have a webbed shape, with a raised ridge that runs along the center-line of the bike. 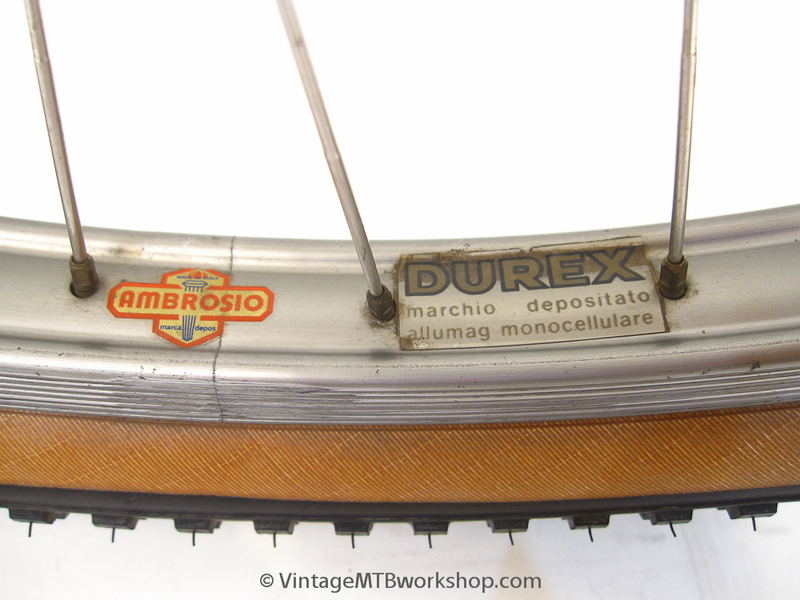 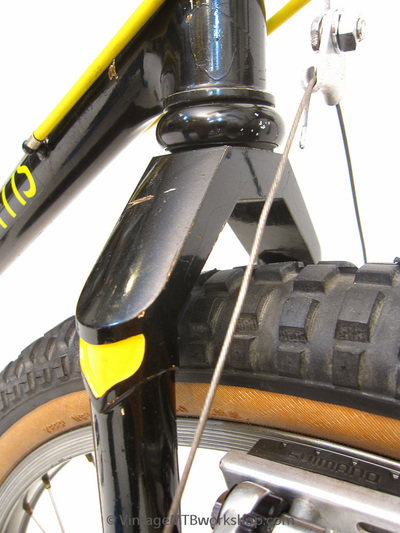 This makes the side profile of the fillets look huge, forming a continuous radius on the inside of the headtube, for example. 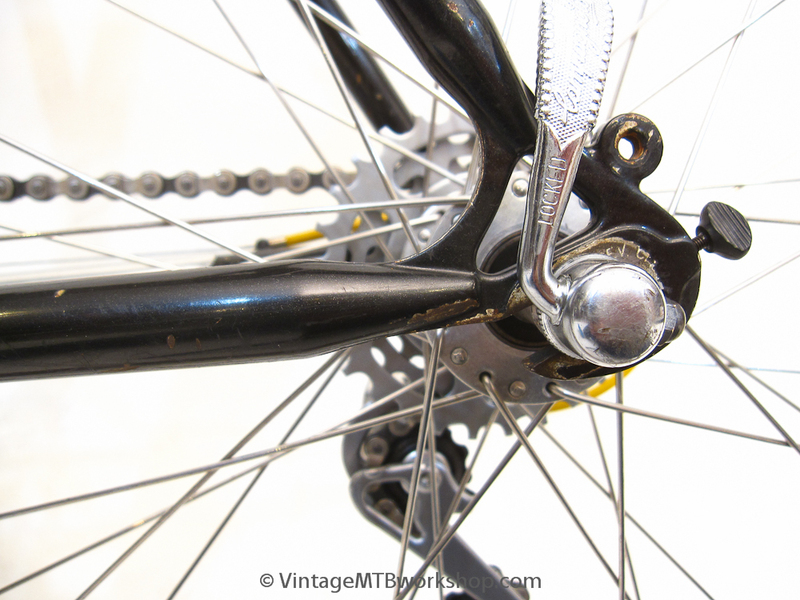 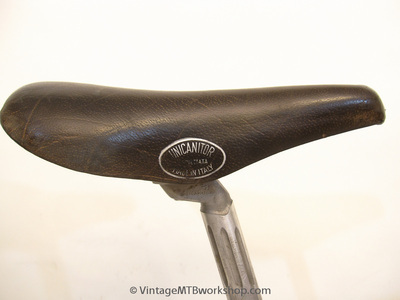 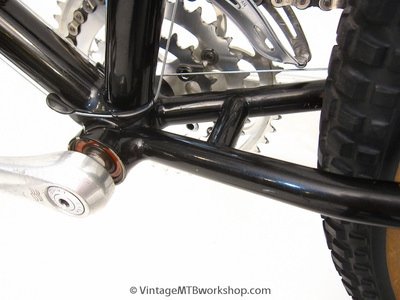 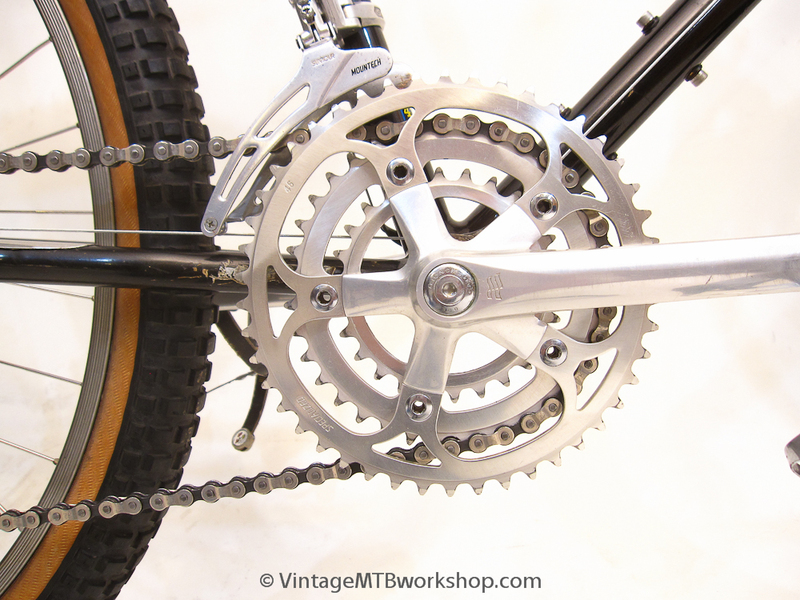 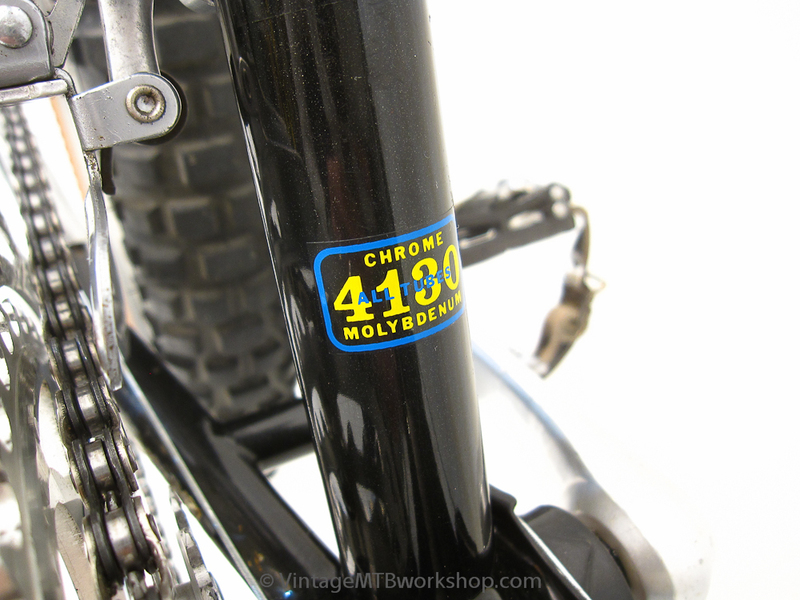 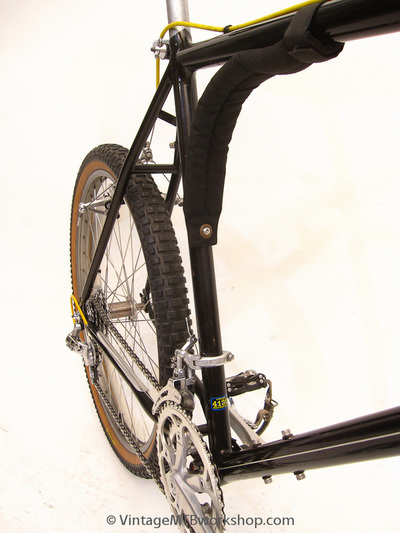 This particular Mantis uses a Henry James cast fork crown rather than the more common bi-plane forks found on other Mantis bikes of the era. 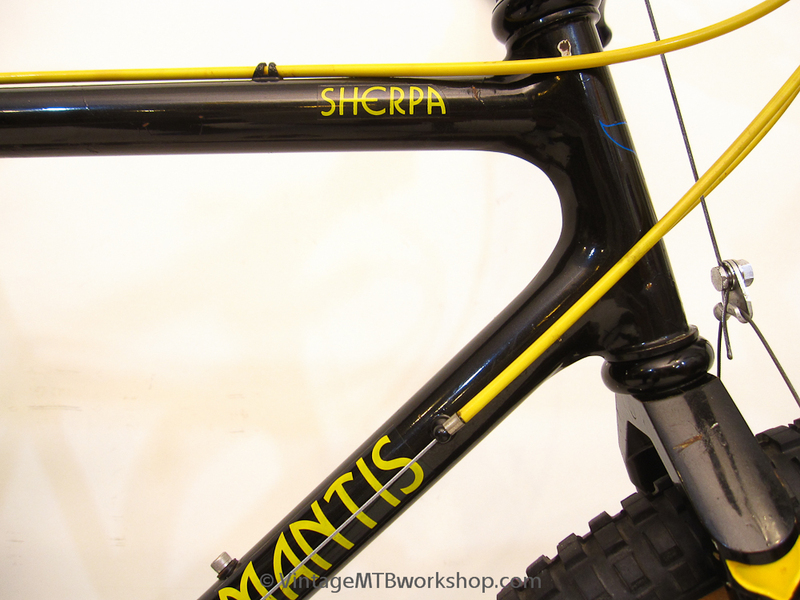 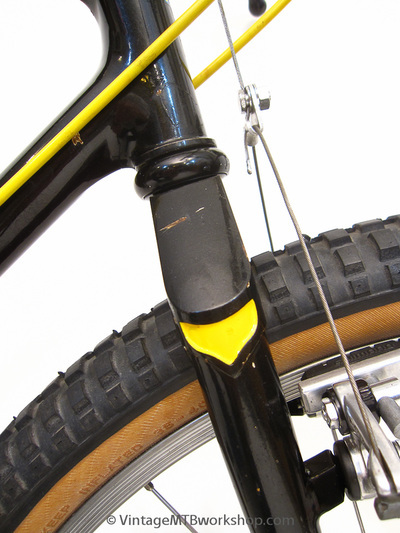 The sides of the fork crown have the Mantis emblem carved into them and are highlighted with yellow paint. 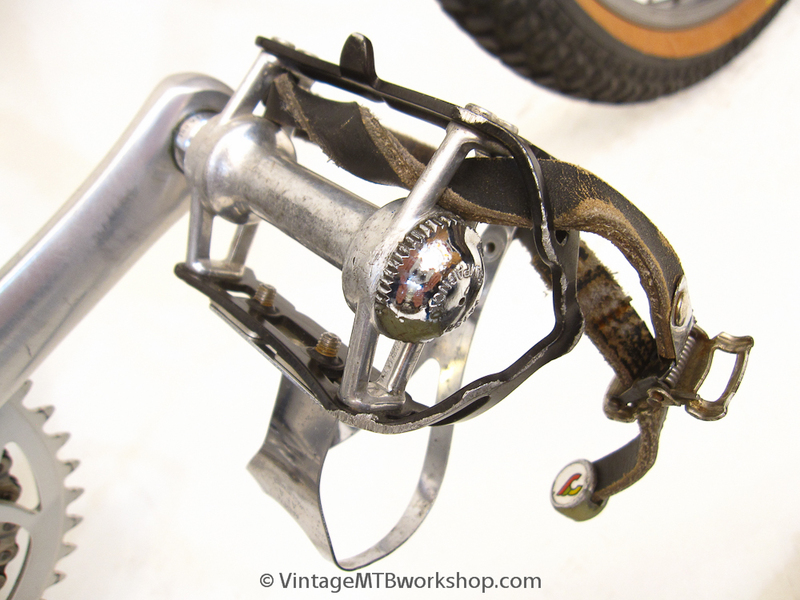 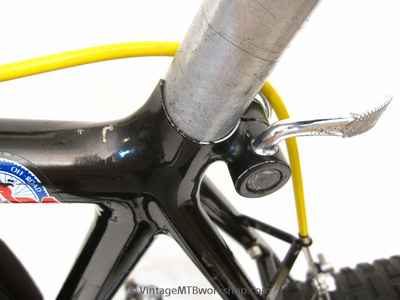 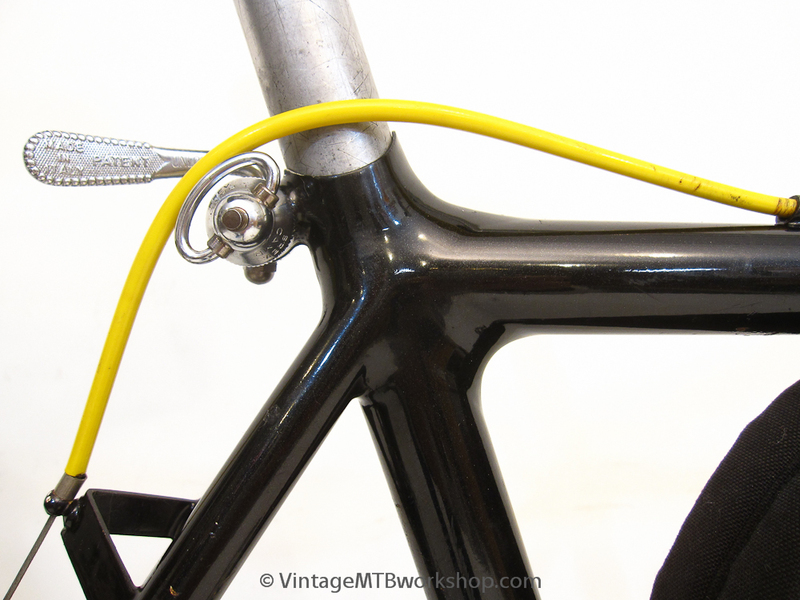 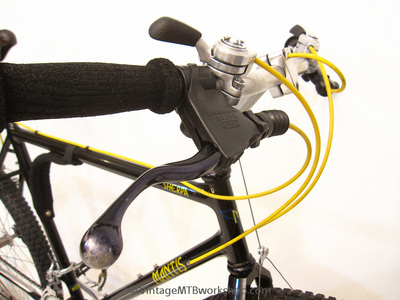 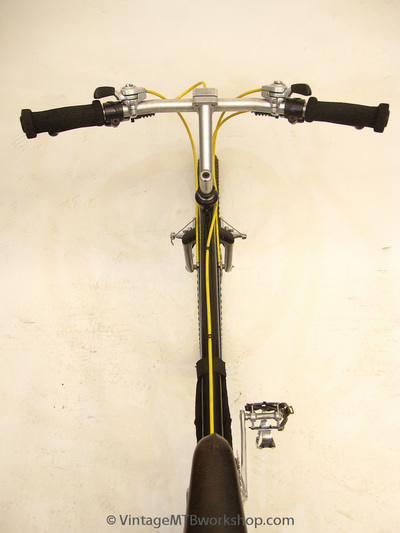 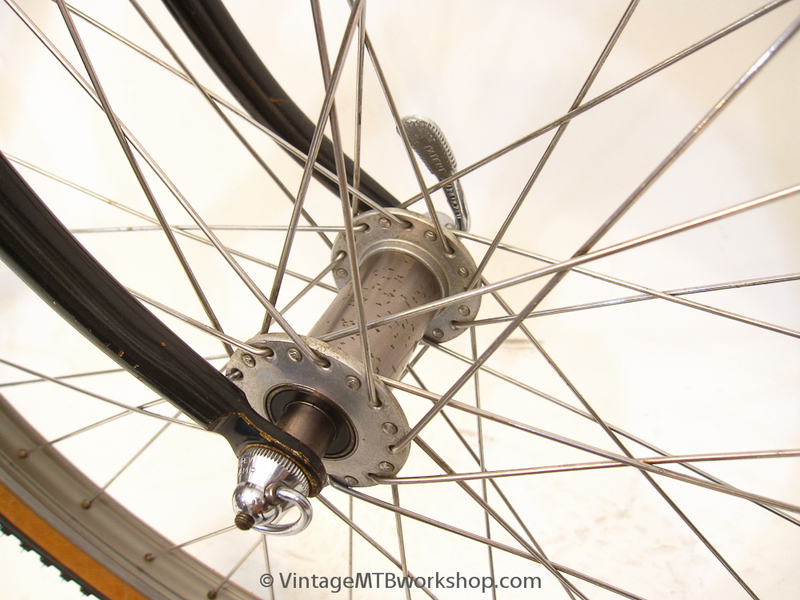 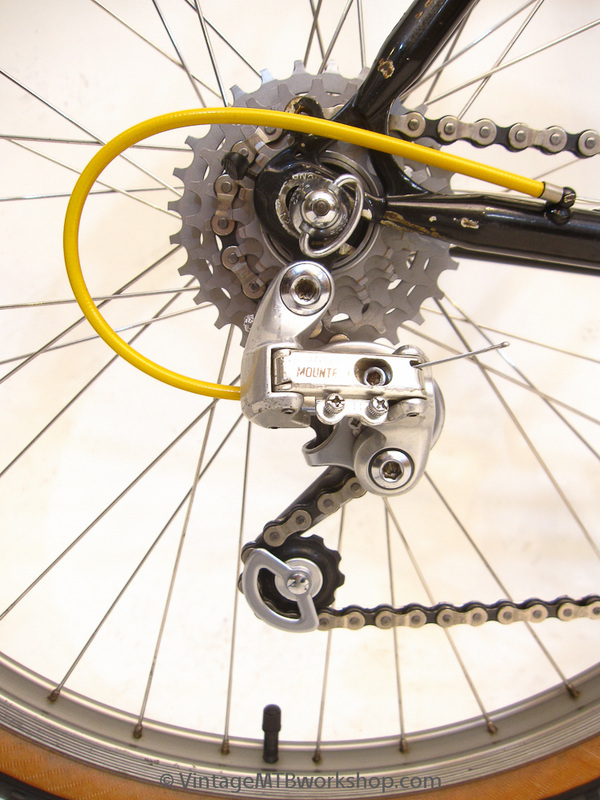 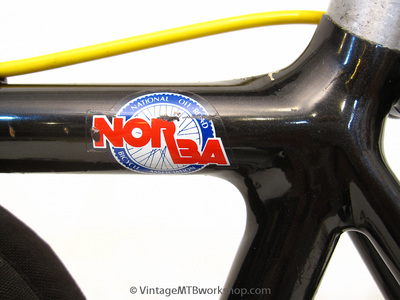 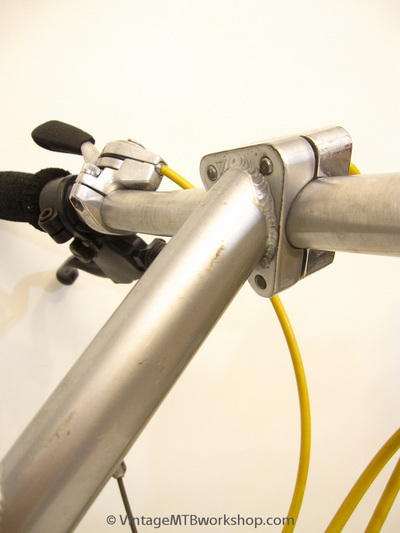 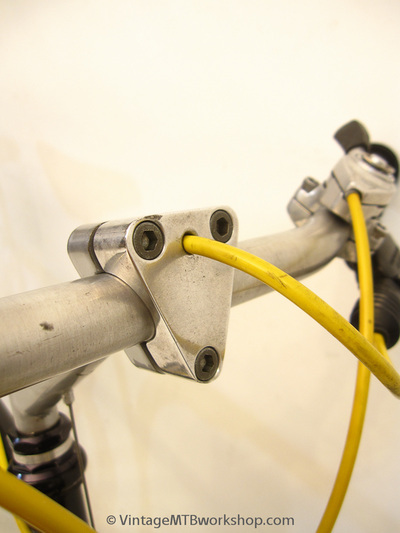 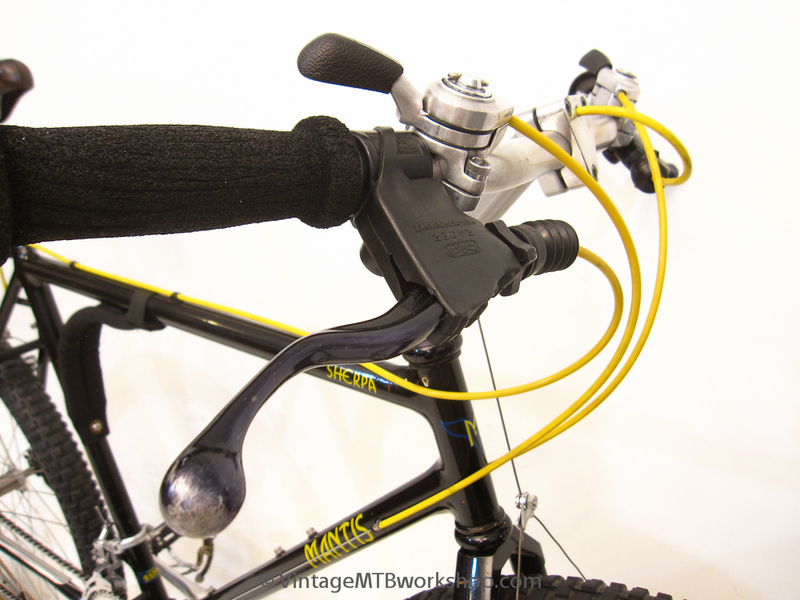 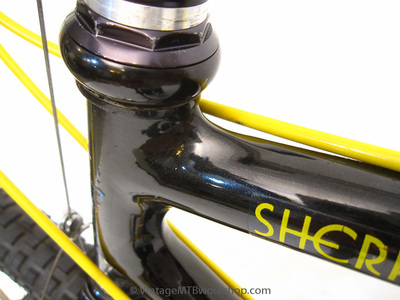 The Mantis stem with a removable faceplate was a novel design, and also featured internal cable routing. 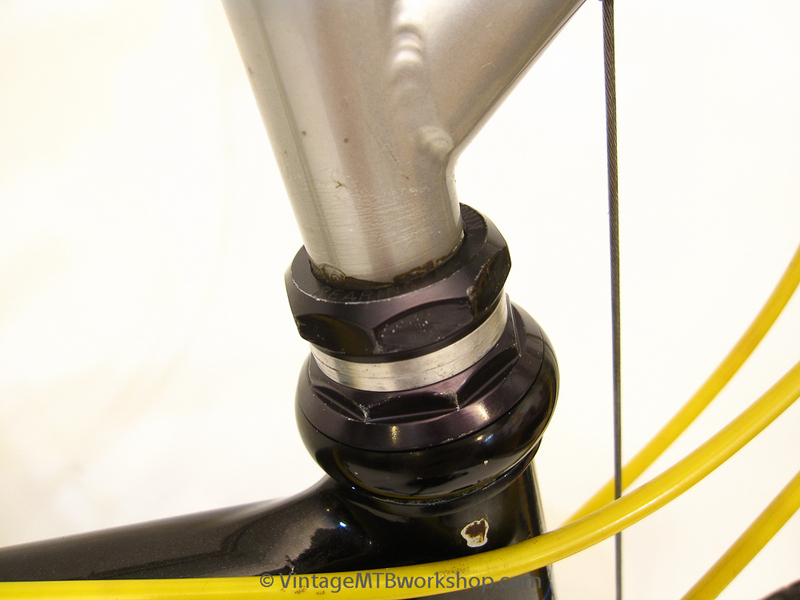 An integrated seatpost binder and bullet ends to the stays are interesting touches as well. 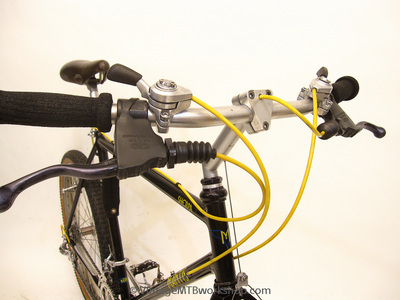 With three water bottle bosses and a portage pad, this bike was intended to go anywhere.